The Lenox Holiday Nouveau 108-Inch Runner is currently selling for just $20.99 on Amazon.com! You will be saving 65% off the listed price of $60.00 with this home furnishings deal. The coordinating table linens are also on sale . . . 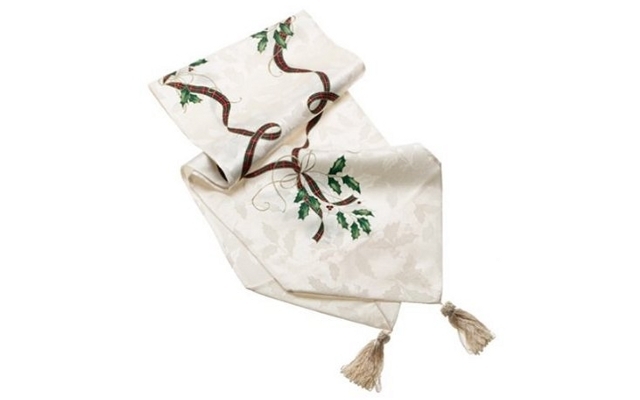 The Lenox Holiday Nouveau Napkins, Set of 4 is now on sale for $12.99. That's a 68% savings off the listed price of $40.00. The Lenox Nouveau Napkin Rings, Set of 4 is now on sale for $11.99. That's a 70% savings off the listed price of $40.00. The Lenox Holiday Nouveau Placemats, Set of 4 is now on sale for $17.99. That's a 73% savings off the listed price of $67.00. What I like about this group of Lenox Holiday table linens is that the colors are very neutral and the design is quite elegant.